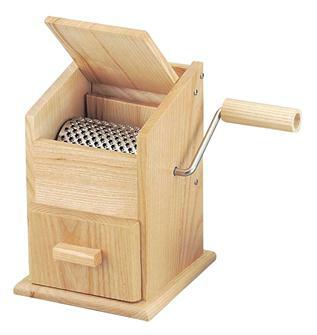 Parmesan grater with wooden stand and collecting drawer. 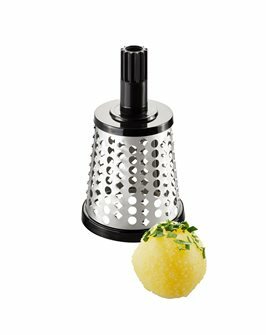 Pick grater, stainless steel cylinder, solid ash mill. 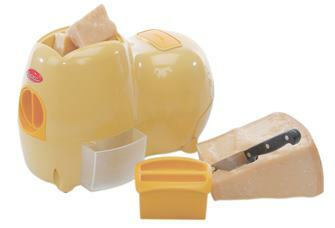 For chocolate and dry cheeses. 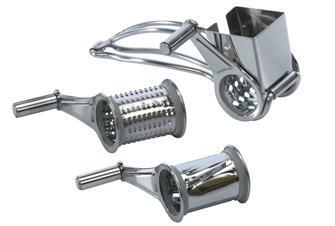 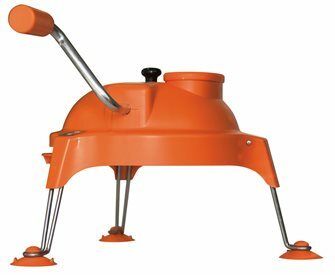 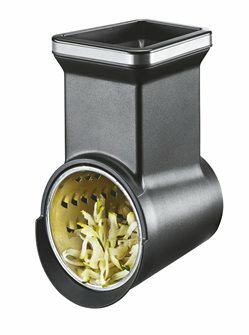 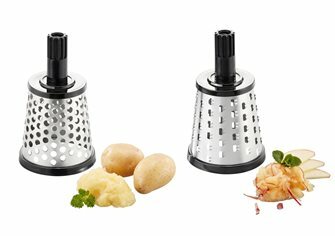 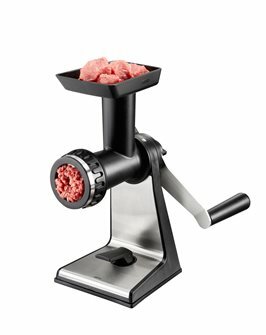 Rotary grater accessory with 3 drums for Transforma meat grinder from Gefu. 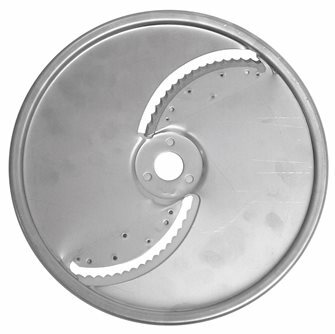 The three drums have a diameter of 8.2 cm, made of stainless steel. 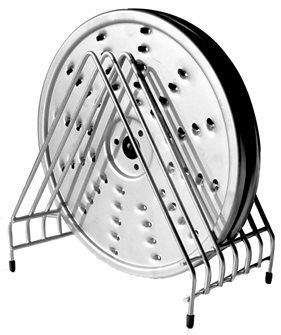 Stainless steel drums for cheese and Gefu potatoes. 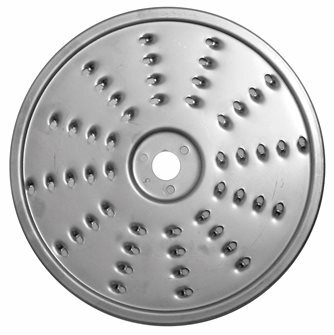 Stainless steel drums for Transforma Gefu dumplings.